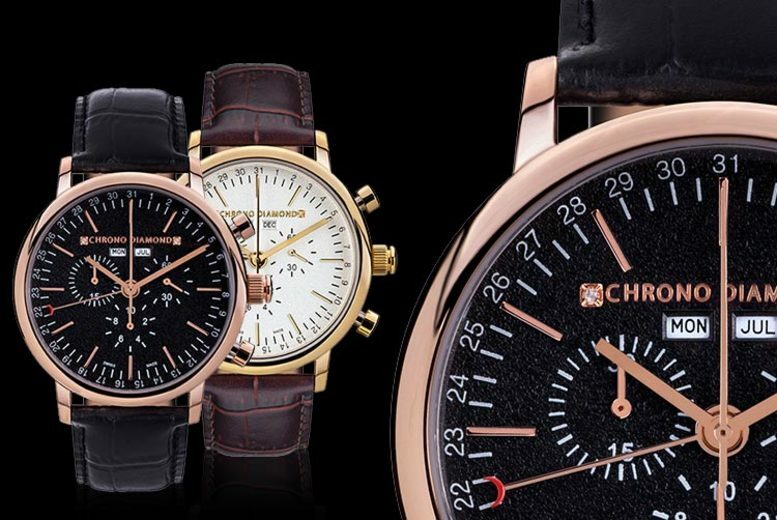 Get a luxury Hindenberg men’s watch! Choose from four sophisticated designs. 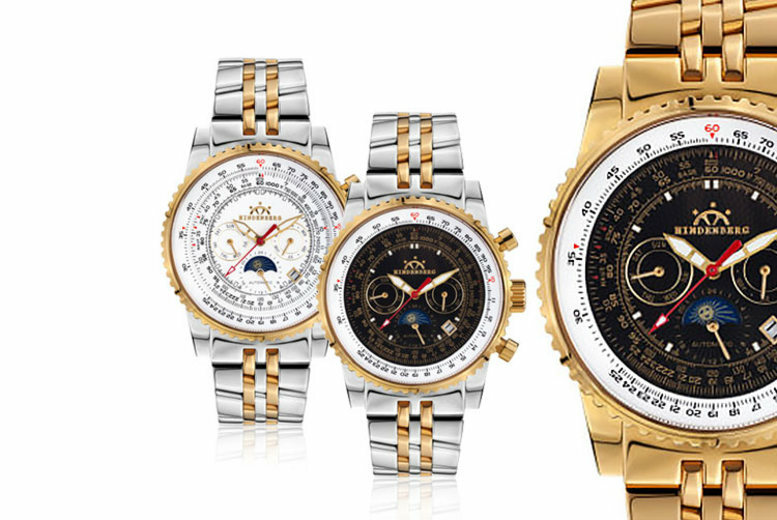 Each with a tachymeter, day and month subdials, a sun/moon display and a date window. All house in a stainless steel case and finished off with a leather strap. Comes presented in an original gift box. 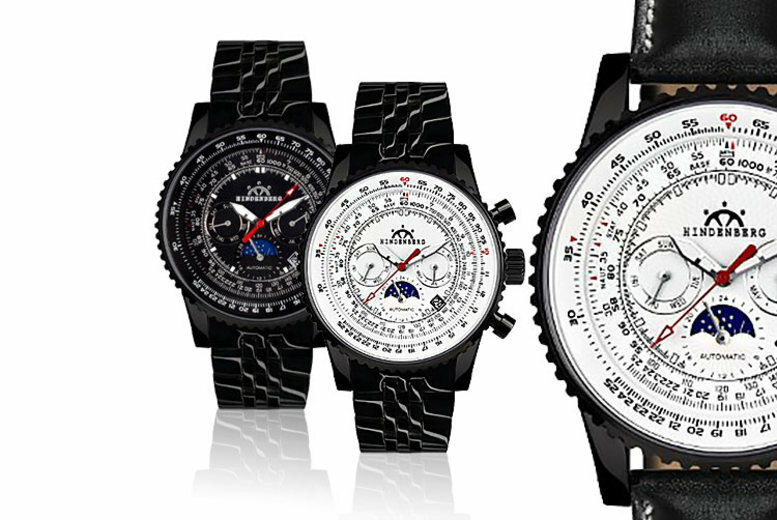 Get a stylish, Swiss-made Neelos men’s watch. Features chronograph functions and a date display. With a stainless steel case in one of three colours. Finished off with a black silicone strap. Water resistant up to 50 metres. 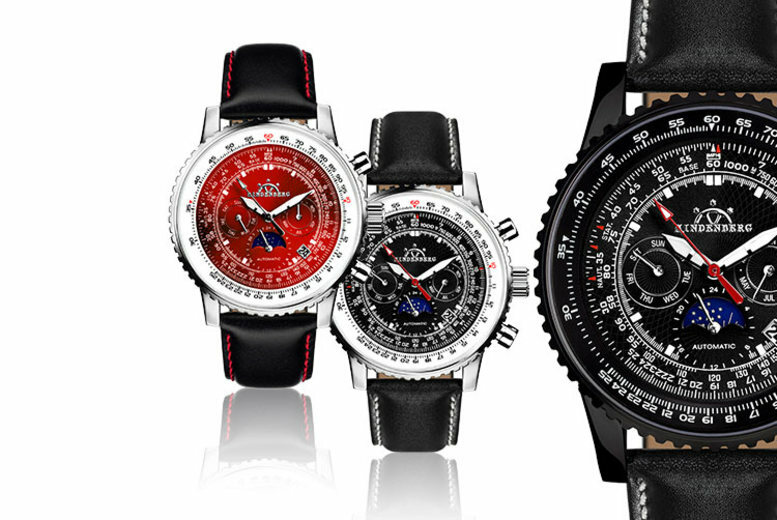 Get a men’s automatic Hindenberg Air Fighter watch! Choose between four stylish designs. With a stainless steel case and strap, plus a scratch-resistant sapphire glass face. Has a fold-over clasp and 24h display. With 5ATM water resistance and has a sun/moon display. Housed in a stainless steel and finished off with a silicone steel strap. 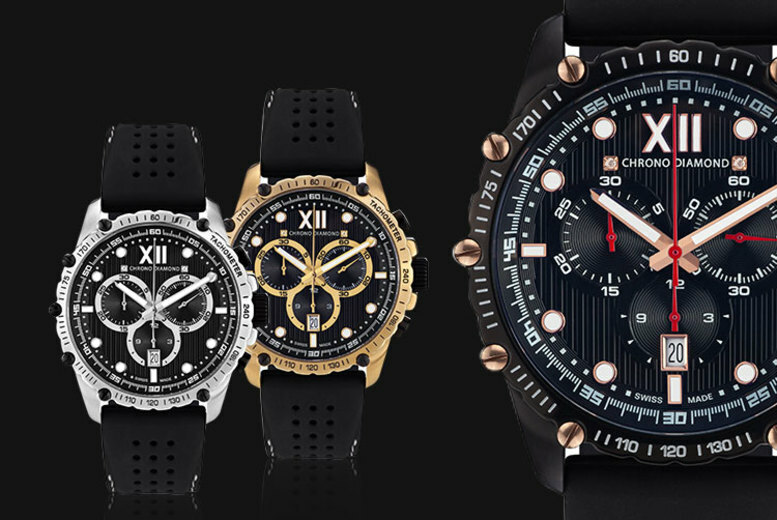 Choose from three sophisticated designs. All house in a stainless steel case. 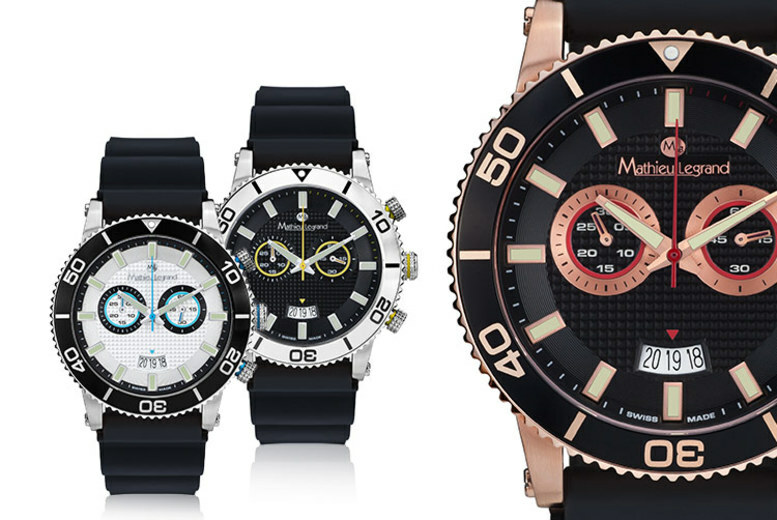 Get a Mathieu Legrand Swiss-made mens watch. And quality Swiss made quartz movement. Features luminous numbers and hands. Displays scratch resistant sapphire glass. Comes in five stunning colours which offer a casual to elegant touch. 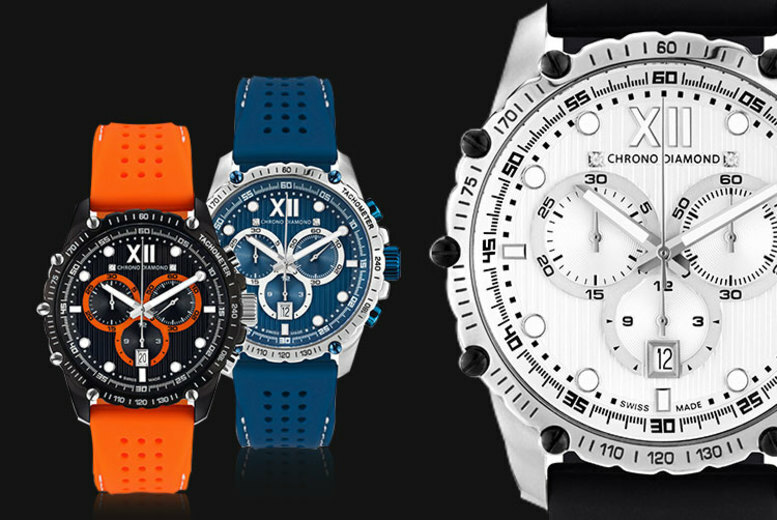 Get a Swiss-made chronograph watch! With five gorgeous styles to choose from. Made with a gilded stainless steel case. Displaying date, day of week and month. Case diameter is 44m and band width is 22m. A pretty present for a loved one! 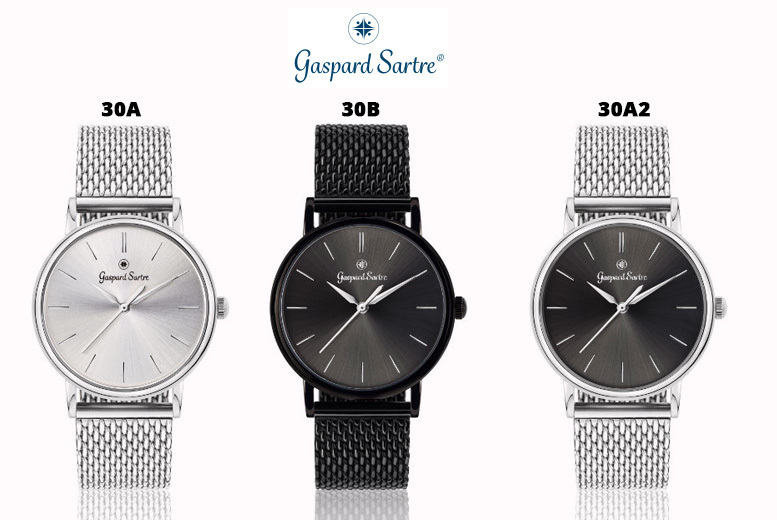 From £25 (from Rotatio) for a Gaspard Sartre ‘La Variée’ ladies’ watch – choose from three designs! 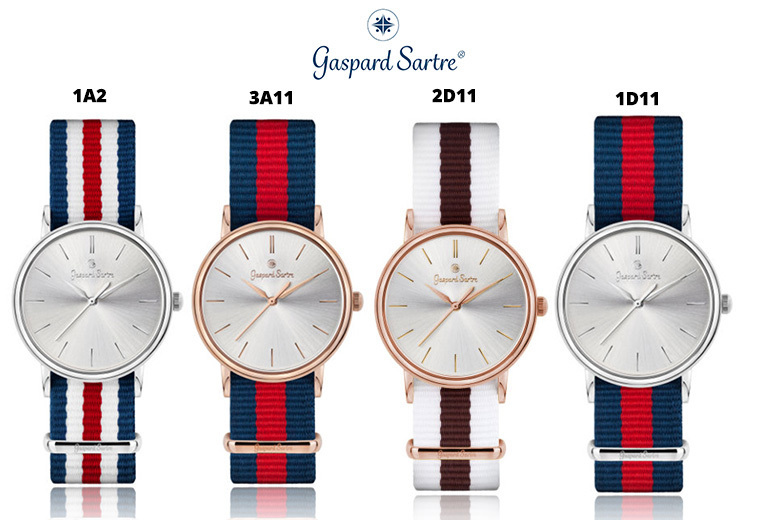 Get a gorgeous Gaspard Sartre ‘La Variée’ ladies’ watch. Choose from three stunning designs. Made with hardened mineral glass. Finished off with a Milanese mesh strap. Choose from 10 stunning designs (see above). 316L stainless steel case with 36mm diameter. Finished off with a fabric NATO strap. 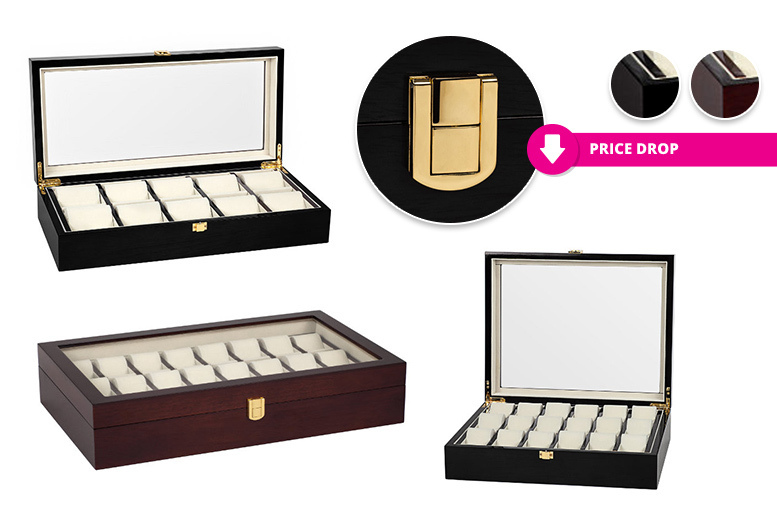 Place your watches in a luxurious leather box. A glorious way to present your timepieces. Featuring interior cream-coloured velour and a sumptuous space with cushion for every watch. Choose a 10, 18 or 24-piece presentation box. Available in plush black or brown colours. An opulent gift for any wristwatch collector.